While music managers work behind the scenes and may not get the publicity of pop or rock stars, they still play a fundamentally important role in keeping a band together and keeping things on track. Being a music manager can be a really exciting career, but is a hard profession to break into. Let’s take a look at some of the most famous music managers for some of history’s greatest bands to see how it’s done. Murry Wilson was a teenager when the Great Depression started. He and his siblings often entertained themselves by singing. Wilson loved these family sing-a-longs and became determined to break into a career as a songwriter. When he married and had three sons, Wilson spent a great deal of time playing the piano and singing with his children. In the 1950s, he started working with Guild Music and Palace Records. Murry’s sons were soon singing with other teenagers and Murry would arrange the music for them. His sons wrote a song called Surfin’ and Murry said he would help them get it recorded. With his connections, Murry got released the track on the Candix label and that was the first song for the Beach Boys. Wilson acted as their manager until they signed with Capital Records. 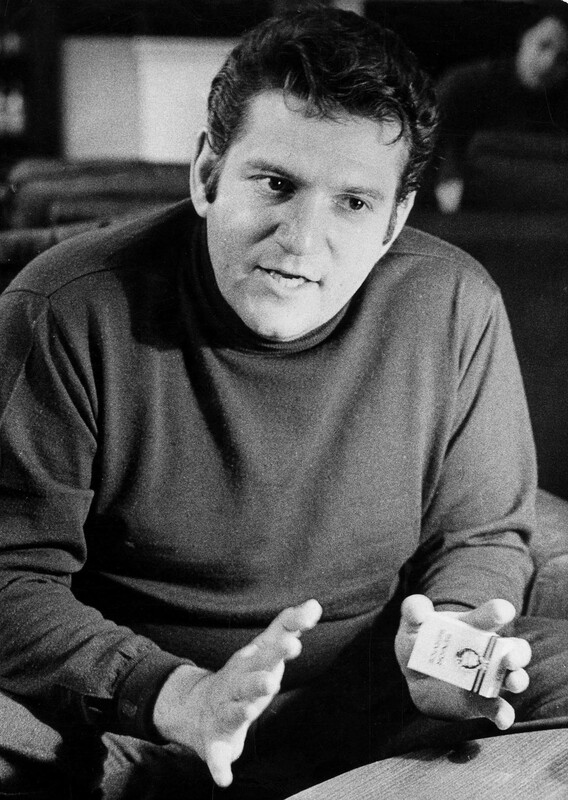 Allen Klein had a gift for numbers and graduated from Upsala College in East Orange, New Jersey, with an accounting degree in 1956. He clearly made a good choice of schools (and friends) in college since Klein got his start when Don Kirshner, a friend he’d made at Upsala, invited him to begin a career in the music business in which he was already well connected. He soon established a solid reputation for being an excellent manager and finding unpaid royalties for musicians. 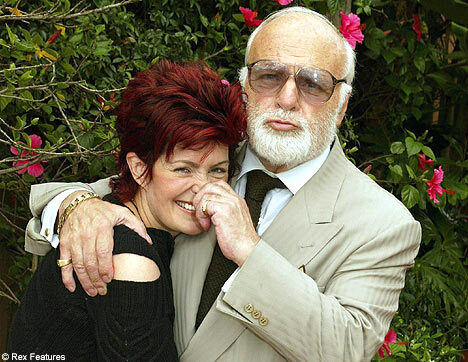 Sharon Osbourne was born into the business, as she was the daughter of successful music promoter Don Arden. Sharon began working for her father as a receptionist when she was a teenager (which beats flipping burgers by a long shot) and later worked in promotions. In 1976, her father became Black Sabbath’s manager. When the lead singer, Ozzy Osbourne, was kicked out because of drug abuse, Sharon became his personal manager. She fell in love with him and even though their relationship was often rocky, they were a good team and eventually created a family and later a franchise surrounding their popular reality show, The Osbournes. Musically, Sharon helped Ozzy’s successful solo career along with the Smashing Pumpkins and Lita Ford. She also managed the extremely popular Ozzfest, a heavy metal touring festival. Barry Klarberg received his BBA and MS in Taxation from Pace University. After serving several years as an Adjunct Professor of Taxation at Pace, he became the National Director of Sports and Entertainment at Deloitte. He started KRT Business Management, which he eventually sold, then worked for two years as Senior Managing Director at Guggenheim Partners. Barry then went on to a business that many would consider a touch more exciting than tax law when he founded Monarch Business & Wealth Management. Monarch represents entertainers, professional athletes and wealthy families. Klarberg is now considered by many to be “the go-to guy for celebrities, athletes, entertainers, and multimillionaires when looking for a reliable accountant to manage their money.” Among the well-known people that he represents are Justin Timberlake, Jose Bautista and entrepreneur Russell Simmons. Colonel Tom Parker was born in the Netherlands and in 1927, at the age of 20, moved to America. He broke into the music business as a promoter in 1938 with Gene Austin. After Austin’s career faded, Parker worked as a fundraiser for an animal shelter. That job took him to Tennessee to book stars for charity events and he later became a manager for Eddy Arnold and Hank Snow. Parker and Snow had a working relationship when Parker was hired as a special advisor to Elvis Presley. Snow wasn’t part of the deal, so Snow broke up the partnership. Parker became Elvis’s manager when his former manager’s contract expired. At that point, Elvis became the Colonel’s sole client (if you are only going to have one client, you better make it a good one). 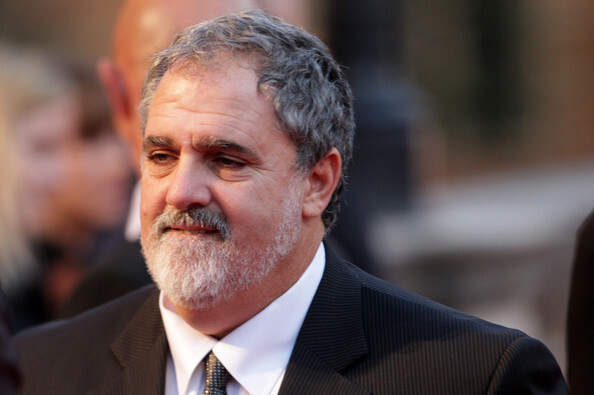 Jon Landau grew up in Boston and received a degree in History from Brandeis University with honors. While at Brandeis, he wrote music reviews for the music magazine “CrawDaddy!” and “Rolling Stone”. After graduation, he worked his way up to music editor at Rolling Stone. Landau also produced records for stars such as Shania Twain and Jackson Browne. He became Bruce Springsteen’s record producer with “Born to Run” and later became his manager. Regarding Bruce Springsteen, Landau wrote after seeing him perform for the first time in 1974: “I saw rock and roll future, and its name is Bruce Springsteen.” Clearly, it was his eye for music that helped Landau get his prestigious job (though his work at Rolling Stone may have helped). Kit Lambert is another renowned professional that was born into music. Kit was the son of Constant Lambert, a British composer and conductor. He attended Trinity College, Oxford, and then served in the army. Upon returning to Britain, he collaborated with friend Chris Stamp to produce a film that starred an unknown rock group. They chose the High Numbers, also known as The Who. The film was never finished and Lambert and Stamp became co-managers for The Who. This may be due to how impressed they were when they heard The Who perform. Stamp had some glowing words of praise after he heard The Who, saying: “I was knocked out, but the excitement I felt wasn’t coming from the group…It was coming from the people blocking my way.” Lambert and Stamp also worked with Jimi Hendrix, John Lennon and the infamous Yoko Ono. Oldham took his contacts from the fashion industry into the music industry, continuing a career path that most would find auspicious. He became a press agent for producer Joe Meek and publicized musicians such as Bob Dylan and the Beatles. In 1963 he saw the potential in the young band, The Rolling Stones. He acted as their producer from 1963 to 1967 and is credited as creating their “bad boy” image. His Immediate Records label was also one of the first independent labels in Britain. All in all, an impressive series of accomplishments. Tony DeFries managed pop music stars in Britain, including Allen Klein and Mickie Most. His company, MainMan, was and is involved in media production, recording, music publishing, management, marketing and distribution. Some of the stars DeFries has worked with include Bob Dylan, Lou Reed, Iggy Pop and The Stooges, Mick Jagger, John Mellencamp, Andy Warhol, and Led Zepplin. His most successful work, by far, though was David Bowie. 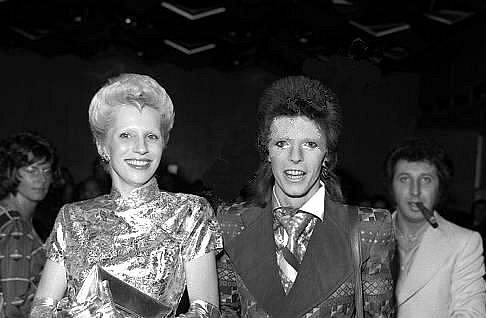 Bowie’s career took off after he met DeFries. Before, Bowie was considered by many naysayers to be nothing more than “an English act with homosexual undertones” and after DeFries, he became an international and flamboyant superstar. Albert Grossman got a Master’s degree in Economics at Roosevelt University in Chicago. After graduating, he co-founded one of the first folk music clubs and soon began managing some of the acts that appeared there. These include Joan Baez, Bob Gibson, Odetta, Gordon Lightfoot, and Bob Dylan. Grossman also helped form the trio, Peter, Paul and Mary. Albert Grossman, whose nickname was The Bear, became Bob Dylan’s manager in 1962. Grossman intimidated record labels and was an expert at goading them into parting with large sums of money. But, as he got greedier, Bob Dylan did not approve, their relationship soured, and Dylan fired him in 1971. Don Arden was born in Manchester, England and was a singer and stand-up comic when he was just 13 years old. He had a show business career until 1953 when he became an agent because it is more profitable. He worked with acts like Bo Diddley, Chuck Berry, Elkie Brooks, and Small Faces. In the 1970s, Arden also had a stint managing Black Sabbath. When he fired Ozzie from the group, Arden’s daughter, Sharon, became Ozzie’s manager (and, subsequently, Ozzie’s wife). Unfortunately, Arden was accused of skimming off the royalty checks which earned him the nickname ‘The Al Capone of Pop.’ But skimming cash wasn’t the only reason he picked up that name; Arden once dangled a fellow manager out a fourth-floor window because he thought the guy was stealing one of his bands. Peter Grant had a colorful variety of jobs before becoming a music manager. These included delivering photographs for Reuters, stagehand, hotel entertainment manager, doorman and bouncer at The 2i’s Coffee Bar, wrestler, actor, stuntman, and body double. Grant got his big break when he was hired as a promoter by Don Arden and, in 1964, started promoting groups such as She Trinity, the Nashville Teens, the New Vaudeville Band Stone the Crows, Jeff Beck, and the Yardbirds. When the Yardbirds dissolved, Jimmy Page started a new group called Led Zeppelin. He was their manager from 1968 to 1980 and negotiated, the highest royalty rate ever for a band, which was five times the rate of the Beatles. Brian Epstein was born in Liverpool and trained as an actor at the Royal Academy for Dramatic Arts. He soon discovered he was not cut out for acting and returned home to work in one of the family’s North End Music Stores. The store happened to be close to The Cavern, a basement club, where he first heard The Beatles perform. As quoted at Brianepstein.com, Epstein said, “I was immediately struck by their music, their beat, and their sense of humour on stage…And it was there that really it all started…” He was their manager from 1962 to his death in 1967. Robert Stigwood was born in Australia and moved to the UK in 1955. Soon after moving to the UK, he and Stephen Komlosy started a management agency. A milestone came when television actor John Leyton got a recording contract after singing on a sitcom and his single shot to number one. At that point, Stigwood began focusing on music clients. His two main clients were Cream with Eric Clapton and the Bee Gees. Both were very successful from the late 1960s into the early 1970s. Stigwood’s work didn’t end with the Bee Gees and Eric Clapton. Later in his career, he focused on theater and film productions, which included Hair, Jesus Christ Superstar, and Saturday Night Fever. He also started RSO Records. RSO stands for Robert Stigwood Organization. RSO signed The Bee Gees and Eric Clapton, and revitalized their careers, bringing Stigwood full circle. When he graduated from Syracuse, Goldstein looked for a firm in the entertainment industry that could help him get his start and was hired by Prager and Fenton. He worked his way up to business manager and toured with ACDC, Clint Black, KISS, and The Bee Gees. After being at Prager and Fenton for 13 years, he founded JLG Business Management and managed many different musical groups, including ACDC, KISS, The Bee Gees, Ben Folds and Clint Black.